Since the introduction of the R32 model in 1989 succeeded by R33 and R34, the Second-generation Skyline GT-R has achieved numerous victories in racing scenes over the past 15 years. The advanced mechanism that was materialized by the combination of RB26DETT engine and ATTESA E-TS, has continued to lead its dominate the scene, achieved many victories, and attracted many GT-R fans. 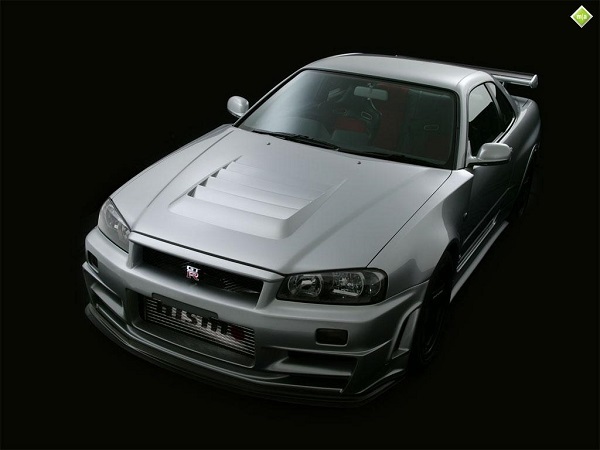 Race vehicles, such as the Gr-A, N1, GT500, and the "Nürburgring specification," were developed based on the R34, which can be said to be the completed form of the 2nd-generation Skyline GT-R, and NISMO, who kept dominant in racing scenes, has unsparingly utilized the technology and know-how it has accumulated over those 15 years. 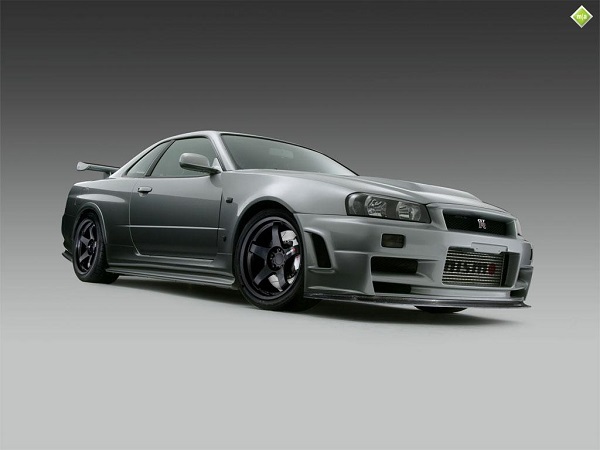 The complete car, created based on the themes "the strongest road-going car in the world" and "Top of GT-R," is the NISMO R34GT-R Z-tune. The basic concept for the NISMO R34GT-R Z-tune was finalized in 2000, and the vehicle made a splashy debut at the NISMO Festival. At that time, the vehicle was entered into a competition called the "Tuners' Battle," and it was victorious through its use of a maximum power of 600 ps. This prototype machine, which focused on providing complete driving performance, undertook a new challenge in the following year. The challenge was to add comfort as a road-going model. In addition to an authentic leather interior, air-conditioning, and a catalyst, the engine was also changed from the Z1 to Z2. 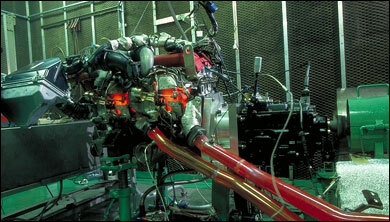 Development trials and tests have already been completed for this prototype machine to mature the vehicle. 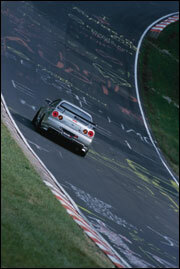 In 2003, it was finally taken to the revered Nürburgring. Furthermore, the engine was used in the Nürburgring 24-Hour Endurance Race, where it proved itself, and in the 2004 race it won in its class and the overall 5th position. 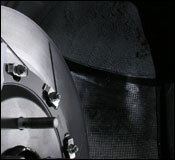 In addition, various unit parts continue to be employed and improved in a variety of applications, and in that year they reached perfection by winning the Tuners' Battle. 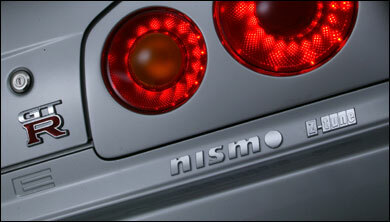 And this year, as NISMO celebrates its 20th anniversary, this car will be made available to just 20 customers. 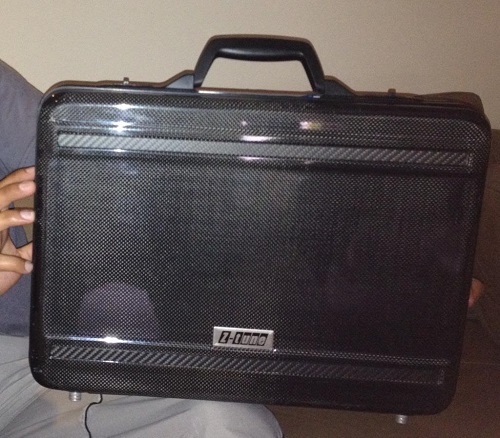 The high-level specifications are produced from the same handmade manufacturing process used for racing cars. The NISMO R34GT-R Z-tune, a complete car, created based on an approved car that was carefully selected by NISMO. A vehicle with a mileage of less than 30,000 km that meets all the requirements, including those for body condition, has the parts that will be modified removed, the body reinforced, and other work performed before it is painted and reassembled. All of the work, from engine production to vehicle assembly, is performed by expert mechanics using the same handmade craftsmanship to race cars to achieve a level of accuracy and specifications that is unachievable in mass-produced vehicles. The heart of the NISMO R34GT-R Z-tune that exhibits such dominating power performance is the RB 26DETT Modified Z2 engine. To achieve an engine that generates high power/torque of more than 368 kw (500 ps)/540 N/m (55 kg/m) and provide the high durability required of road-going cars, plenty amount of techniques and know-how that NISMO accumulated throughout the racing scenes, have been lavishly adopted into this Z2 engine, that some may even find the quality to be too much extreme for a road-going vehicle. It is NISMO's qualified mechanics, who has spent many years developing and tuning race engines, who use these high-quality parts and breath life into the engine. The RB26DETT modified Z2, of course has been verified of its performance using cutting-edge equipment such as an engine dyno, and the skills of professional engineers and mechanics. In addition, a serial number is applied to each of the 20 RB26DETT modified Z2 engines, and this will be used for data management in the future. 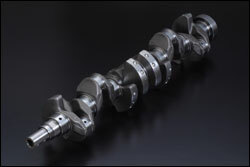 The camshaft is an important part that determines the engine performance and characteristics. The major issues facing the RB26DETT modified Z2 engine were balancing the opposing elements of high power and emissions reduction. 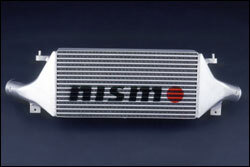 NISMO resolved these main issues by thoroughly testing the cam profile, lift amount, and valve timing. The optimum values and shapes were used in combination with the selected engine compression ratio, turbocharger, exhaust system, and other components. Since 2001, the 2.8L engine has been used for GT500 competition. 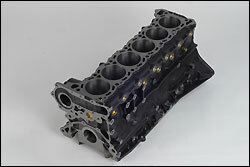 It achieves both a 2.8L large bore (ø87 mm) and high boost while maintaining the block rigidity required of an N1 specification engine block with improved strength and rigidity. 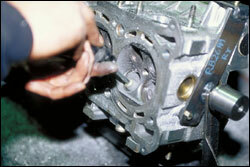 The engine block used in this Z2 too, is specially made to carry over this GT500 strength and rigidity. In addition to the GT engine block, a long-stroke crankshaft, which has proven its performance and durability in the GT500 engine and in races of various categories, such as Nürburgring 24-Hour Endurance Race, was used. In addition to achieving a standard ratio 4 mm up long stroke (77.7 mm), die forging and fillet roll machining were used achieve high durability. 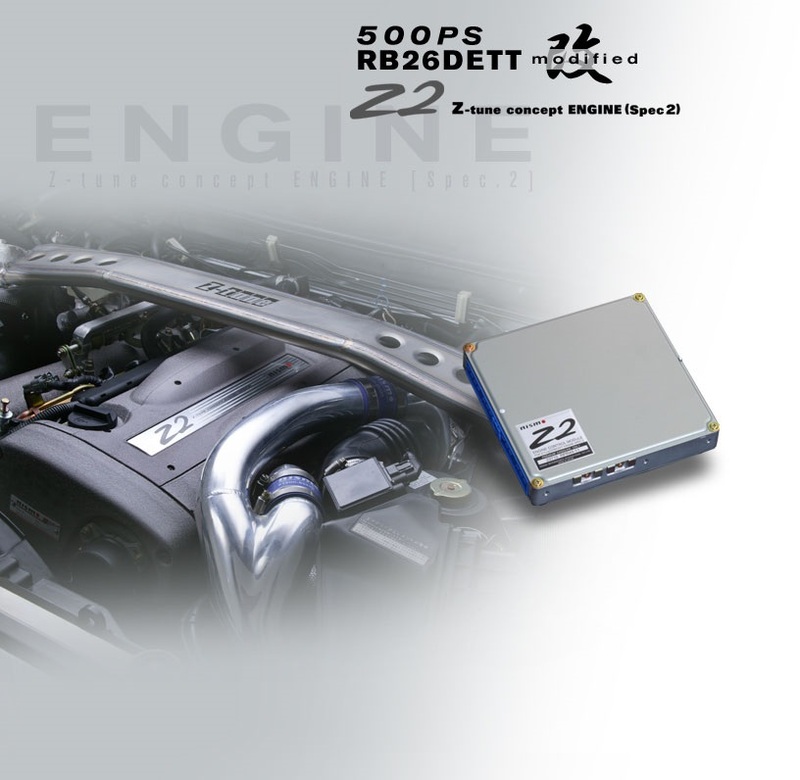 To achieve the domineering engine performance and engine response of over 368 kw (500 ps)/540 N/m (55 kg/m) at a maximum boost pressure of 0.15 MPa (1.5 kg/cm) using a pistons specially forged for the RB26DETT modified Z2, special lightweight, highly rigid forged pistons with cooling channels were developed. 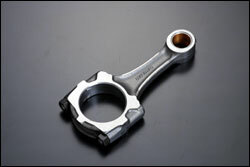 As with the GT crankshaft, the 121.5 mm dimension connecting rod has actually been used in the GT500 as well as in vehicles with specifications for the Nürburgring 24-Hour Endurance Race. It is made from SNCM439 to achieve both a light weight and high strength. The intake pipe length and diameter as well as the collector tank body cross-sectional shape were changed to improve the airflow to all cylinders and increase the intermediate speed torque. 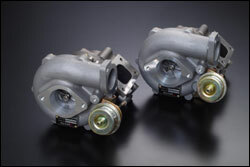 A turbocharger made by IHI (though the specifications differ) that has proven itself in both the GT500 since 2001 and in the 2004 Nürburgring 24-Hour Endurance Race is used. Ball bearings are used in the bearings to suppress the drop in the response that is created by large turbochargers while achieving a commanding turbo feeling during high boost. The catalyzer performance was improved and the pipe shape and diameter were optimized to effectively scrub and discharge the large volume of exhaust gas created by an expanded exhaust amount and high boost. 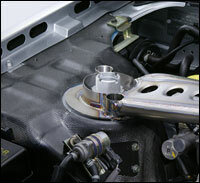 The pipe is made of titanium (the front tube is made of stainless steel) to significantly reduce the weight. The core capacity was increased, the fin pitch and shape were changed, pressure loss was reduced, and cooling performance was improved. The core capacity was increased, the fin pitch and shape were changed, pressure loss was reduced, and cooling performance was improved. In addition, aluminum was used to focus on cooling performance during high-speed driving and high engine speeds in particular. Twin air-cooled oil coolers were installed on the front side to achieve a stable oil temperature during high-speed driving. 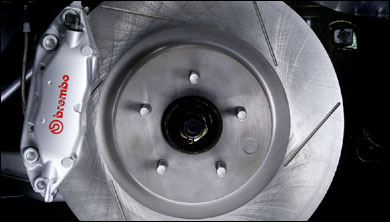 Body Shell "Lightweight and Rigid"
This brake system, which was developed for a target performance of 1.6 G when mounted with S tires, was jointly developed with Brembo. 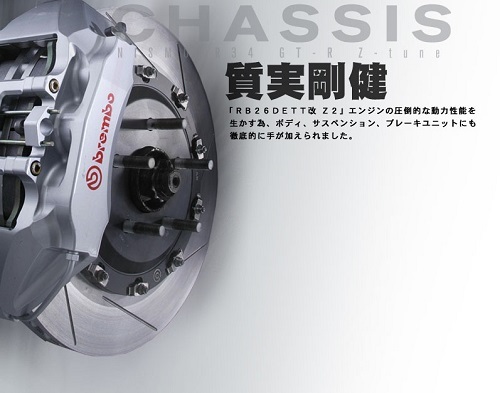 It features such parts as a mono-block 6-piston caliper (for the front), 2-piece front brake rotor with a Ø365 rotor system, and Ø355 mm one-piece rear brake rotor jointly developed with KIRYU. 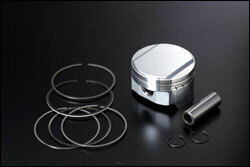 In addition, the ABS unit was specially tuned to further utilize the performance of these high-performance parts. The ATTESA ET-S and active L.S.D. 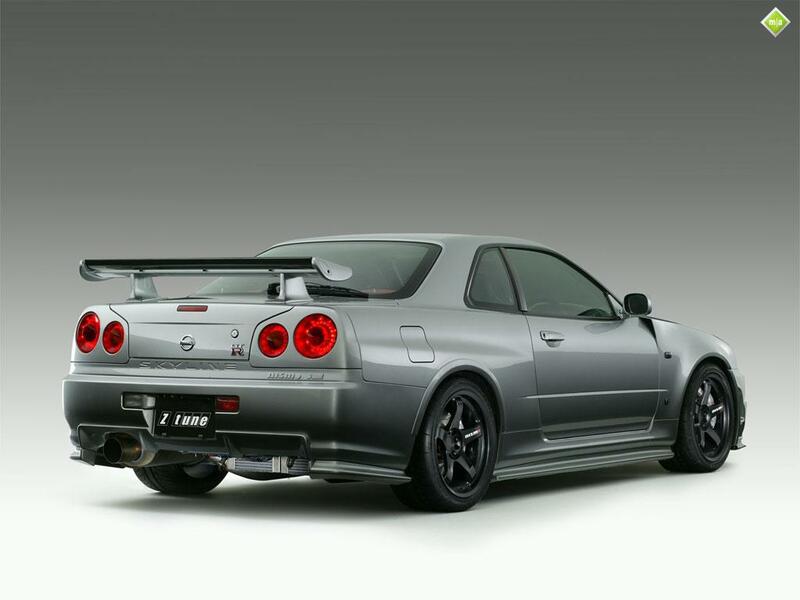 were specially tuned to accompany the increase in engine power in order to make the torque distribution to the front more suitable and to improve the rear differential effectiveness, among other things, to stay true to the great handling of the base car Skyline GT-R (BNR34). The tires are the only contact between the vehicle and the road surface, and the tires selected are made by Bridgestone, which has provided many years of support for NISMO' s racing activities. 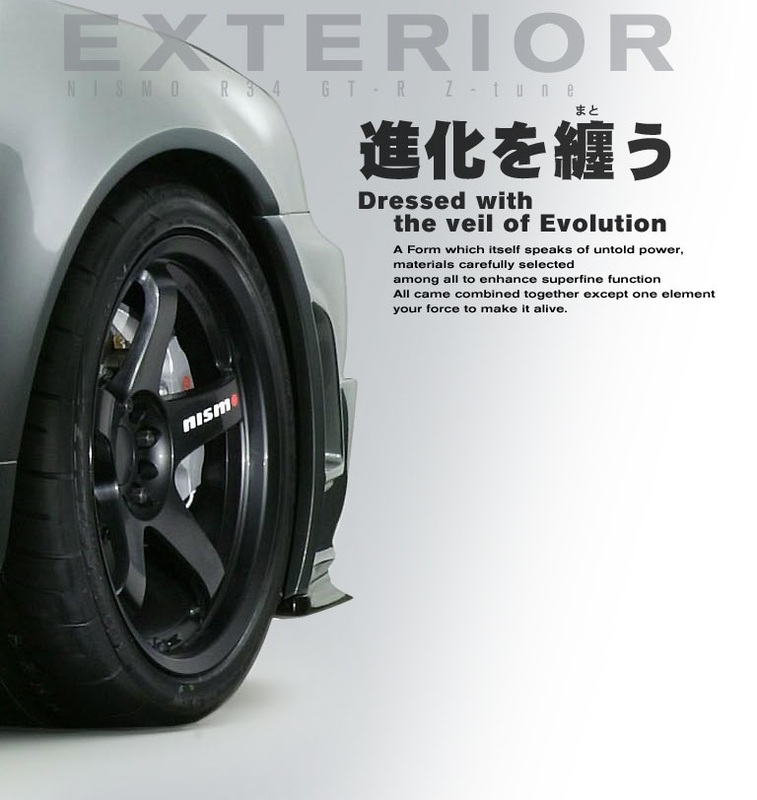 Maximum performance for the each type of driving can be obtained by mounting the POTENZA REO1R 265/35R18 for driving on public roads, and the newly developed POTENZA RE55S 265/35R18 for sports driving on closed circuits. The wheel used with this wide tire is a black LM GT4 "GT500 Model" lightweight forged aluminum wheel that was newly and jointly developed with RAYS, which, like Bridgestone, has been a partner in NISMO' s racing activities for many years. 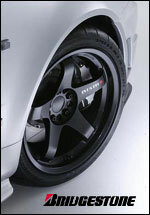 A wheel with the same rim shape and color as that used for GT500 race vehicles had the rim width and offset specially resized (18 x 9.5J OFF + 5) for "Z-tune." The pursuit of thorough driving performance was extended even to the wheel. 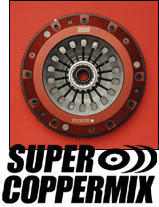 The clutch is one of the major components of the power train, and here the SUPER COPPERMIX TWIN, which was newly developed to handle 441 kw (600 ps)/589 N/m (70 kg/m) and be extremely easy to use, was employed. This new clutch, which was all but developed for the NISMO R34GT-R Z-tune, uses a high-friction material made using the optimum blend of copper in the disc to reduce the friction μ and deformation caused by heat and to suppress judder, which occurs easily in clutches made of metal. Using a disc made of high-friction material makes it possible to lower the clutch cover pressing force and thus reduces the clutch pedal depression force. This emphasizes that this vehicle is a road-going car and not a racing car. 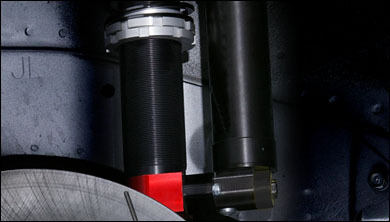 The propeller shaft is made of CFRP. 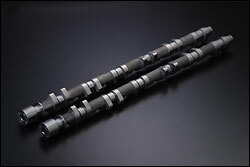 Weight reduction of 5.26 kg (standard shaft: 12.52 kg) was achieved to contribute to improve driving performance. 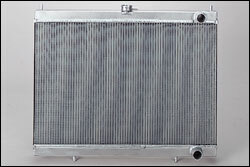 The transmission and differential oil temperatures during continuous high-speed driving were optimized by installing a special oil cooler. This also contributes to realizing better stability and improving performance when driving continuously on a closed circuit. The main features of the exterior are the aerodynamic parts, such as the front bumper, front blister fender, and hood, which are made of CFRP specially developed for automotive applications. 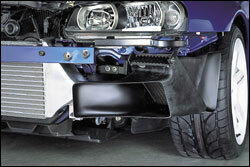 These CFRP body parts further reduce the weight of the vehicle front. The front bumper effectively guides air to the engine and brakes, and the front blister fenders were widened by 15 mm on one side to accommodate the wider tread and were also given the function of exhausting the air from the engine room from inside the fenders. The hood has air ducts for obtaining sufficient intake air volume utilizing the ram pressure effect during high-speed driving, and it also features a front under-spoiler to create a lowering force on the front of the vehicle. In this way, all of the aerodynamic parts used on the vehicle were designed with the airflow in mind. 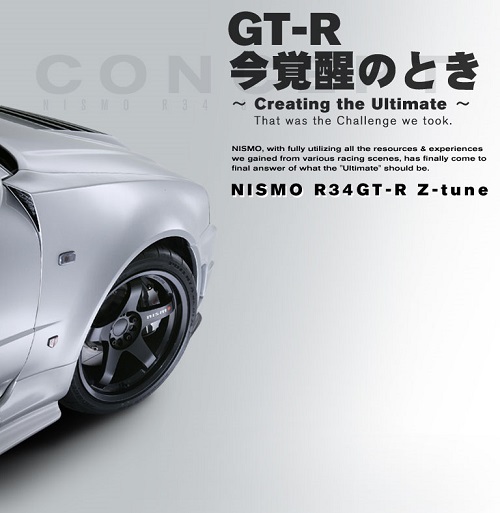 The NISMO R34GT-R Z-tune expresses the NISMO corporate colors of black, red, and silver over the entire vehicle. 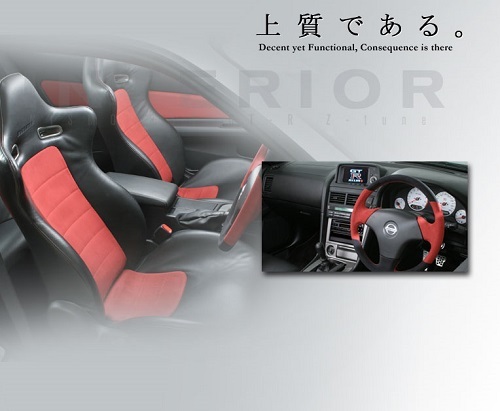 Special silver (KYO) is used for the body color and a combination of black and red is used for the interior. - NISMO complete car special "NISMO chassis plate"
- Alcantara is used for the center of the seats, and leather seats are used to provide support during the powerful fore and aft, right and left G forces that are generated. 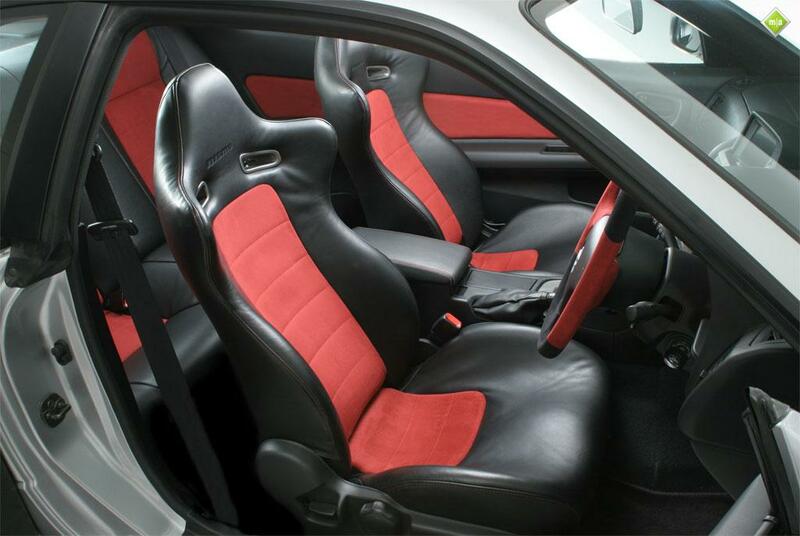 - Coordinated side trim to match the seats. - Full-scale white meter that goes to 320 km/h. - Multi-function display (MFD) featuring a data logger, lap time meter, and other functions. 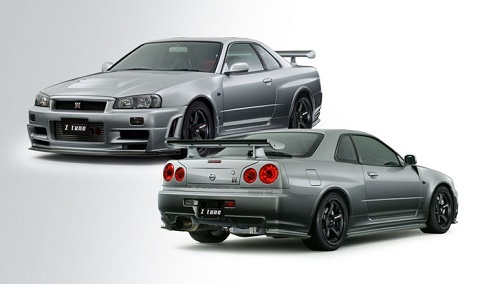 Body Color Z-tune Silver (KY0), special color for R34GT-R Z-tune only. Exclusive Rocker cover with Z-tune special color. 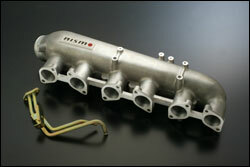 Exhaust Manifold specially machined to remove gap & stiffener processing. CFRP Reinforcement at Center Tunnel etc. For those who purchase, we have available extra services. Delivery of car available at NISMO headquarters by Mr. Watanabe Osamu (Former Skyline [R34] Product Planning Administration) and NISMO Contract Driver etc. 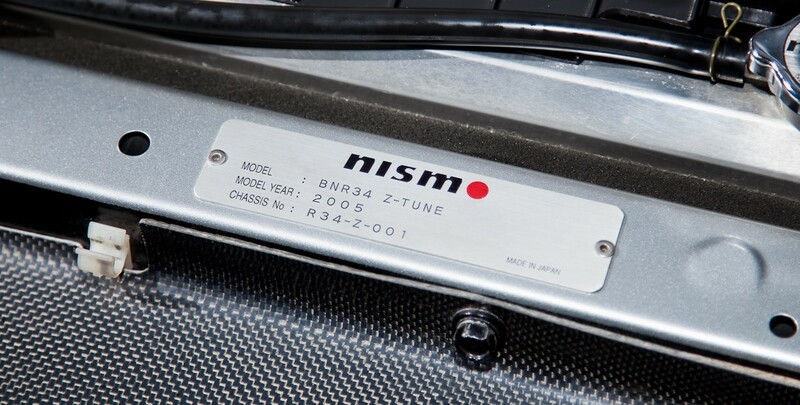 Once a year, we will do diagnosis and oil change by Nismo's Z-tune exclusive mechanic. * The necessary expenses such as the transportation of vehicles are charged separately. * We are planning 2 mechanics (chassis / engine + engineer), advance / after check, checking expendable items during traveling (actual expenses) etc. "World's Strongest Road Going Car"
Nissan Motorsport International Co., Ltd. "NISMO R34 GT-R Z-tune" is a complete car based on the Skyline GT-R (BNR34) which began selling in a limited number since December 2004 and will be discontinued. 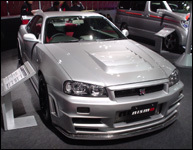 "NISMO R34 GT-R Z-tune" was build as World's Strongest Road Going Car" and "TOP OF THE GT-R" and was originally due to released limited to 20 vehicles. Because it has become difficult to obtain suitable donor cars, the final production volume was 19 units including a prototype, with two cars to be preserved. 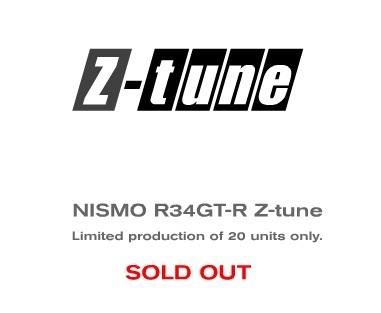 Thirteen commercially available "NISMO R34 GT-R Z-tune" were delivered in Japan and four were delivered overseas such as Australia and Thailand. The last one will be delivered soon.